A genuine OE part, made in the USA, the OmniFilter CB6 whole house water filter replacement cartridge will ensure your whole house system serves only the cleanest, purest tasting water. 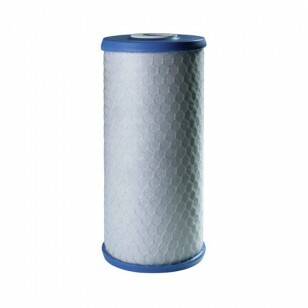 Built for use with OmniFilter heavy duty whole house systems and any brand of water filter housing that uses 9-3/4 inch x 4-1/2 inch filter cartridges. Reduces chlorine, sediment, cysts and rusts for up to 24,000 gallons or three months. Maintain the quality of your water by ordering the OmniFilter CB6 whole house water filter replacement cartridge online today. Ensures water quality and flavor remain peak quality! The CB6 does not reduce fluoride.